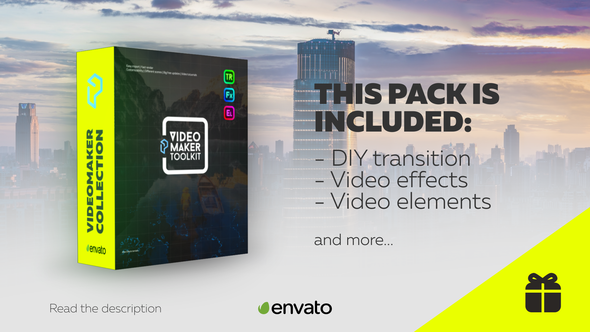 This is a growing set of tools for creating and improving video. After purchase, all updates are forever free for you! At the moment, the most emphasis is on video transitions. 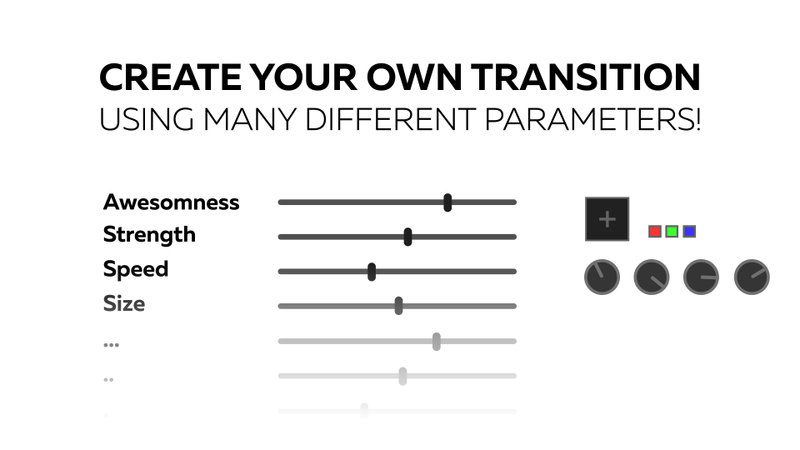 “DIY Transition” is a tool for creating unique video transitions. You create the presets you need. The creation process is simple and takes much less time than searching for the desired transition in large libraries of presets and the result will not only be unique, but also ideally suited for your project. In the main archive you will find a short video tutorial and easily learn how to work with the template. Also, in the project you will find some effects and elements for video, the number of which will grow with updates. Also, in addition to the “DIY Transition” was created a special modifier, which complements your transition with a special animation, which has no analogues yet on videohive. The modifier also has its own settings, and you can also save it in your presets. To motivate the rating of the project, we created a unique template, which you will receive as a gift. Just put a deserved rating to this project and write your mail. Also, the wishes from you are welcome, what updates you are more interested in, so I will receive feedback and understand what is most interesting to my customers. Watch Video tutorial of the gift template.